For students of the Bible, the value of the non-canonical Jewish literature from 200 BC to 100 AD is great, although most Christians don't avail themselves of these additional resources. 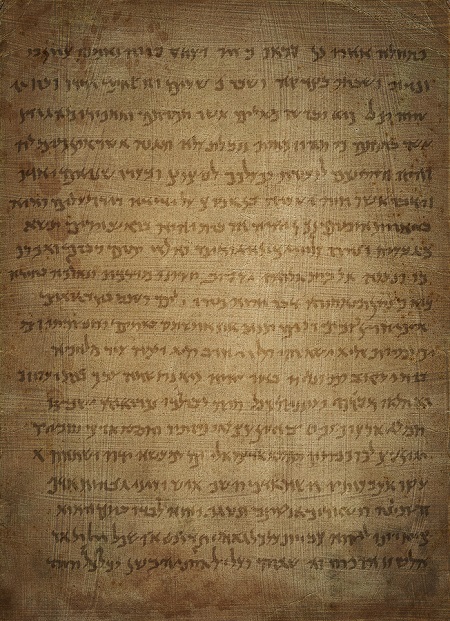 The pseudepigrapha are written works produced after the closing of the Hebrew Bible canon, but before the production of the Christian canon, which are not accepted as canonical by most Jewish or Christian groups. Books referred to as pseudepigrapha are largely Jewish in character and origin, although some may have Christian authors. The apocrypha are Christian literature that is known to have been circulated by the Early Church, but which are not included in the Christian canon. While helpful to understanding the traditions and times in which the Bible was created, the apocrypha are works of unknown authorship or of doubtful origin. Biblical apocrypha is a term used to apply to books that are included in some Bibles, but not others. The Biblical apocrypha are included in the Latin Vulgate and Septuagint, but not in the Hebrew Bible. Catholic consider them to be deuterocanonical, while Protestant might consider them apocryphal. Deuterocanonical books are Biblical apocryphal texts that are considered canonical by Catholics, Eastern Orthodox, Oriental Orthodox, and the Church of the East, but are not considered canonical by most Protestants. However, many editions of the Bible will include text from deuterocanonical and non-canonical scriptures in a single section designated "Apocrypha." Roman Catholics, Orthodox Christians, and Protestants generally agree on the canon of the New Testament. Books that are not in the canon are not considered Scripturally authoritative, but they may still have exegetical, cultural and devotional value. These books may shed light on the history and culture of the period in which the Old Testament was written. However, these books are not necessarily free from error, and some were the basis for Early Church heresies. When the Old Testament ends, Israel is under the control of the Persians. When the New Testament begins, the Romans are ruling over the land. What do we know about the personal life of Mary, the mother of Jesus? For that matter, what was Jesus like as a child? What happened to Jesus during the time between the crucifixion and his resurrection? We know of Hanukkah as a Jewish holiday, taking place over a period of time in December, but how many of us know how Judah Maccabee fits into the story? The answers to these questions, and more, are found, not in the canonical Bible, but in the Apocrypha, or lost books of the Bible. In fact, much of Christian and Jewish tradition is supported, not in the Bible, but in extra-biblical literature, much of which were once a part of the accepted text of the Bible, and some of which are still included in Catholic, as well as some Protestant, bibles. To those who are unfamiliar with the Apocrypha, The Book of Tobit and The History of the Destruction of Bel and the Dragon might sound like something from J.R.R. Tolkien. The Book of Tobit was well known in Western literature up until the 19th century. Tobit was a righteous man, taken in slavery to the Assyrians, yet following the dictates of God even when those around him were not. Of the book, Martin Luther said, "Is it history? Then it is holy history. Is it fiction? Then it is truly beautiful, wholesome and profitable fiction." The History of the Destruction of Bel and the Dragon was once added to the Book of Daniel, as it illustrates the ingenuity of Daniel. Seeking to prove to the king of Persia that the idol, Bel, does not eat the food that is left for him, Daniel sprinkles ashes on the floor after offerings have been left. The next morning, he shows the king the footprints of the priests who came in during the night to take the food. Later in the book, Daniel is thrown into a lion pit by the Babylonians. Hundreds of miles away, in Judea, the prophet Habakkuk is making a stew when an angel grabs him by the hair and flies him to Babylon to feed Daniel, greatly impressing the king. The story of Judah Maccabee, and the role that he would play in the events that are commemorated in the Jewish Hanukkah celebrations, are told in the First and Second Book of Maccabees, which is an account of the Jewish war of liberation against the overlords of Israel, which is also called Judah. It is also a primary source of information about the time between the Old and New Testaments. Apart from the Apocrypha, several other books were circulated among Christians, along with the books that were later included in the canon, and considered supplementary rather than false. These included the Gospels of Peter and Nicodemus, as well as two books discussing the infancy and early childhood of Jesus, and known as the Infancy Gospels. The Gospel of Nicodemus includes an account of Christ's descent into hell after being crucified, and describes his expulsion of Satan from hell. At one time, the Gospel of Peter was regarded as highly as the gospels of Matthew and Mark, and was more respected than those of Luke and John, but it was excluded from the canon because it differed too much from the other gospels. The chief reason why the Gospel of Thomas was rejected was because it begins by saying that those who understand the words of Jesus will be saved, which was thought to be a contradiction of other accepted works, which stated that those who believed would be saved. The Infancy Gospels were excluded largely because they portray Jesus as a child with an enormous ego, and a mean streak. One account tells of a boy who, running through the streets, brushed against Jesus' shoulder. In his anger, Jesus causes the boy to fall dead. Accused of murder, he blinds his accusers. The Gospel of the Birth of Mary gives an account of Mary, who was to become the mother of Jesus, in her early years, and The Protevangelion gives an account of the birth of Jesus. These works are primary sources for the Catholic tradition of Mary as a perpetual virgin. There are many other books that can serve to fill in the gaps, as well as some that might be troublesome, but these works were important to the early Christian church, while they are either ignored or wholly unfamiliar to Christians today. Even if they are not to be held up as Holy Scripture, surely they deserve a place in the reading schedules of those who desire to know more about that in which they believe. Alin Suciu has earned a Ph.D. in Religious Studies, an M.A. in Ancient and Medieval Philosophy, and a B.A. in Philosophy, and is currently a researcher with the Hiob Ludolf Centre for Ethiopian Studies. His curriculum vitae and several articles on topics related to the Apocrypha and Coptic literature and manuscripts are featured, going back as far as 2011, including his book on the Berlin-Strasbourg Apocryphon, which is available for purchase online. An abstract of the book is featured here. Many Christians include fifteen books in their Bibles that were written during the period between the Old Testament and the New Testament, which are known as the Apocrypha. A synopsis of these works, which include Alexander the Great, First Esdras, Second Esdras, Tobit, Judith, Additions to Esther, Wisdom of Solomon, Ecclesiasticus, Baruch, Letter of Jeremiah, Additions to Daniel, Prayer of Mannasseh, Macsabees, and Psalm 151, and other works is given. Featuring an expansive list of early Christian literature, the site includes several early works, including biographical sketches of the authors, as well as the full text of the works, as well as a blog and discussion forum. The collection includes New Testament writings, the Apocrypha, Gnostic literature, the writings of the early Church Fathers, as well as writings from pagan and Jewish authors, anti-Marcionite prologues, the Muratorian Canon, and several others. A project of the Society of Biblical Literature, which develops and publishes electronic editions of the best critical texts of the Old Testament Pseudepigrapha and related literature, the project directors, editors, review board and sponsors are introduced, and a project description is given. An introduction and the text of several works are available for viewing, including texts with critical apparatus and those without. Made available from Bible Hub, the site offers links to the text of Deuterocanonical books, as well as a Bible atlas, Bible concordance, Bible dictionary, encyclopedia, thesaurus, a topical Bible, and photographs but, as the primary focus of the site, Apocryphal writings are presented in parallel with the Scripture as found in the King James Bible, the World English Bible, and others, including the Brenton Septuagint Translation. Links to texts from the King James Version of the Bible, publications from the Church of Jesus Christ of Latter-day Saints, as well as historic works from secular, pagan or Jewish authors who lived during Biblical times, and several works classified as the Pseudepigrapha Old Testament Apocrypha, New Testament Apocrypha, and new discoveries, including the Gospel of Judas and the Coptic text. Egyptian, Babylonian, Ugaritic, and Islamic literature is also included. The text of the Deuterocanonical and other Apocryphal writings are presented, with an overview of each. The Deuterocanonical books include those that are, or have been, included in some versions of the canonical Bible, while the Apocryphal texts are historically significant texts that have not made it into the official canon but remain useful for their historical content or additional information they yield. Search for Apocrypha & Pseudepigrapha on Google, Bing, or Yahoo!